Today, I am thinking about our inclination to seek approval. In this series, we’ve been talking about how we interact with those in positions of power. Sometimes we are more inclined to seek approval from those in higher places. Recently, I was talking about the time when David was on the run from King Saul. I talked specifically about how Saul walked into a cave where David and his men were hiding. In that moment, David stepped forward to take Saul’s life, but then quickly decided not to do so. Soon after Saul left, David ran out of the cave and towards Saul to make him aware of the good David had just done. In fact, David even called out to Saul, “Look, my father!” Notice how David still referred to the man who was trying to kill him as his father. David then showed Saul a piece of Saul’s robe that he had cut off in the cave. David was trying to prove to Saul that while he had the chance to take Saul’s life, he chose not to seize the opportunity. However, even though David tried to appeal to Saul, he did so after the the fact. In other words, he didn’t seek Saul’s approval until after he had already sought the approval of God. Sometimes, we can work so hard to win the approval of others, especially those in a higher position, that we lose sight of who is ultimately in the position of power. 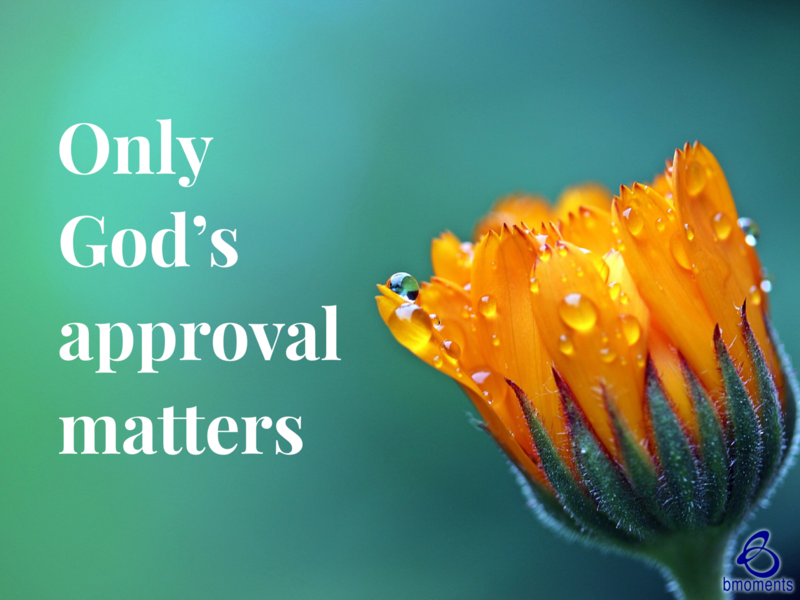 So today, remember whose approval really matters.